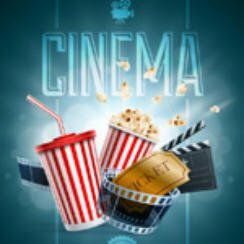 Popcorn Cinema Show takes a look at the weeks new movie releases (July 8 2016) for the UK, US, Australia and New Zealand at the cinema, plus all the weeks film news. The Legend of Tarzan & Now You See Me 2 are just two of the new releases in the UK, whilst in the US The Secret Life Of Pets hits cinemas. Michael Cimino best known for The Deer Hunter (1978) has passed away aged 77. Robin Hardy dies aged 86, he is probably best known for directing the classic British horror film The Wicker Man. Years have passed since Tarzan left the African Jungle. However a opportunity to go to Congo as a trade emissary occurs. Unwittingly he becomes a pawn in a plot of greed and revenge. The Illusionists return to expose unethical practices at a tech magnate. Jesse is an aspiring model who movies to Los Angeles where she finds her youth and vitality devoured by a group of beauty obsessed women. Maggie wants to have a baby on her own, the only problem is she has fallen for a married man named John. Max’s life is thrown into chaos when another pet, a mongrel named Duke is brought home.